How Much Donkey Do You Need? We’re back from Nepal! And now as I trek into work mode, my head is full of incredible images. Of majestic Himalayan peaks. The round face of a child beaming ‘namaste.’ The Tibetan Buddhist nun walking alone at the monastery. 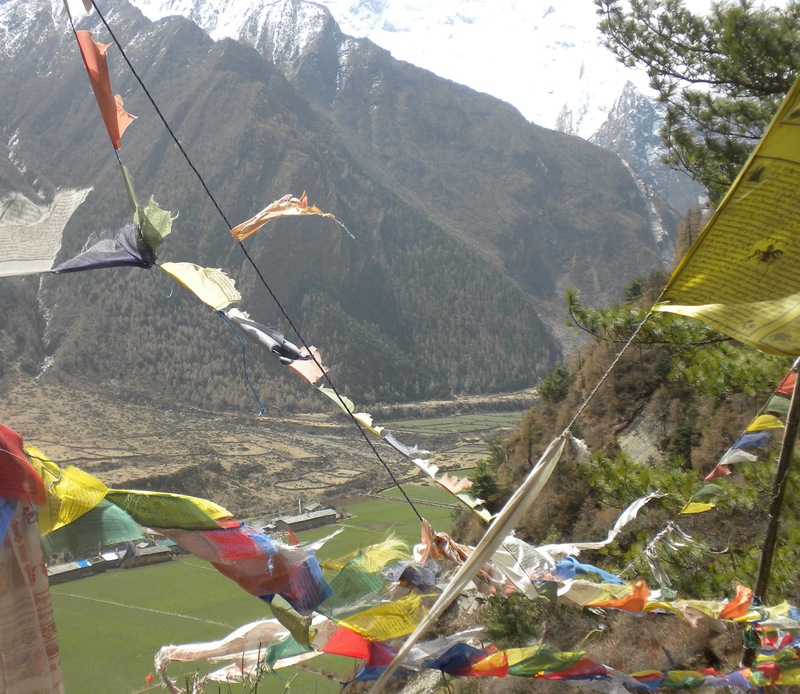 Of rippling prayer flags. 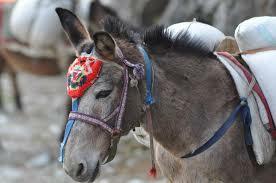 And donkey train after donkey train. I was so enamored that first day. But as the days repeated, the number of donkey trains was a surprise. 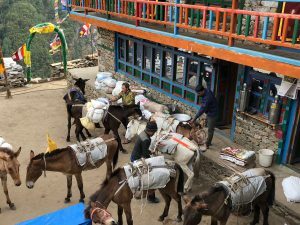 However, if a bunch of Western trekkers invade a remote area of Nepal with no airstrips or roads, the supplies and goods must make their way up the trail somehow. Enter the donkey and his mates. Of which you know already, can be headstrong. Some want to wander off and eat grass. Others drink water at an opportune spot, arresting the train. And a few stop and think – about whatever donkeys think about. Maybe how to knock the next Westerner off the trail. Donkey traits? Well, they are independent. Autonomous. A bit stubborn. Willful. In recent years, I’ve noticed a little donkey in my friends and colleagues in Alaska. And I’m guessing, they’ve noticed a little in me. So what would a person-gone-donkey say in the workplace or in life? I’m strong. Independent. Fully self-reliant. I am clear on what’s up to my standards and what’s not. To hell with what others think. Childhood stuff? Totally resolved on that. OK, here’s the backstory. Kent and his buddies, Glen and Bert are long-term experts in infant-caregiver attachment theory and practice. From their passions they developed the internationally-renowned Circle of Security parent-reflection program and most recently wrote a resource-rich and parent-friendly book Raising A Secure Child. The premise of the Circle of Security is that attachment between an infant and caregiver in the first year of life and beyond is a forerunner of emotional self-regulating to come (as in the rest of your life). In other words, when a child feels her caregiver is emotionally and empathically available in times of need, she develops a more secure and present capacity to show up for her own experiences. She is able to understand and accept her emotions, know her worth, and graciously recognize her own social needs and act to get them met. Simply put, that’s a secure attachment. The hard news is when we have parents that are under personal and familial strain and health and economic stresses, they may be dismissive, neglectful, and emotionally distant to us. Usually with this type of parental pattern, kids recluse into aloneness, resist closeness, and shut down on any emotional sharing. They survive on their own. It’s an insecure attachment of the avoidant variety. Donkey style. All of us share a social need of autonomy – or the desire to be self-directed and have a sense of control. It’s natural and normal. And it’s crucial for you to understand the level of autonomy you need to feel calm in the workplace or home. Because that’s what we’re all going for. To feel calm. If you’re a department head and need to be Master and Commander over all things in your department, you are sporting a donkey brand of autonomy. In this case, micro-managing trumps delegating and collaborating. Or if you simmer and potentially explode with any changes to your daily routines, unplanned work problems, or when a donkey steps into your commute, your autonomy-meter may be redlining. If this sounds like you, it’s probably a social trait that you want to dive into – as too much autonomy will drive your human wholeness into misery and drag your work and life there, too. Donkey coaching available. I live with a donkey wrangler. I’m always amazed at my tall beloved one, as he really is adept at shepherding donkeys. Here’s his formula: He steps to the uphill side of the trail (as to not to get kicked off the cliff), takes a soothing breath, looks at the scenery, and practices patience — with his dear wife. May the donkey in you know a little more peace this month! ReWired for Work is a 4-hour interactive training that allows staff and leaders to make neurobiological choices and take steps to move into a calm, alert, kindred, engaged (CAKE) state at work. Only from there, do we bounce back from stress more quickly. Increase our engagement with our own job. Enjoy better quality of relationships at work (and elsewhere). Demonstrate more creativity. We even boost our co-workers’ productivity. You can have your CAKE and eat it too! You just need to learn and practice the science-backed tools to meet your optimal neurobiological state. If you want to your leaders and staff to get rewired, have your business contact Susie. Here at Wise at Work, we help organizations and small businesses to improve working relationships and to run more effectively. I also coach people to navigate difficult work and life challenges, which everyone bumps into now and then.